You’ve probably seen Facebook friends warn others about not accepting a new friend request because their account was hacked. The flurry of recent activity is due to a hoax, but that doesn’t mean your account can’t get hacked. Find out what fake information has been circulating and what to do if your account actually has been compromised. You get a message, which appears to be sent from a friend, saying they received a suspicious friend request from you. The message goes on to say that the best way to deal with this news is to share the information widely. If you received a message like this, odds are, it’s a hoax. Your other friends have not, in fact, gotten fraudulent friend requests (see below for telling for sure). Go ahead and just delete the message. It’s not the first time an annoying prank has gone viral on Facebook and likely not the last (in related news, Facebook isn’t restricting your news feed to 25 friends either.) Snopes, a fact-checking website, can be a great place to look and see if viral posts are real or fake. The worst thing that will happen to you if you fall for this bit of trickery is that you waste your time and spread fake news across the social media. 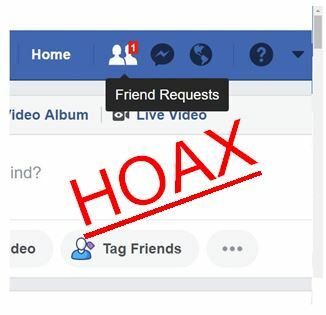 However, just because this particular instance is fake doesn’t mean there aren’t real cloned account scams that could start with a friend request. When friend requests are sent in your name, it’s not that your account was hacked—it’s been cloned. 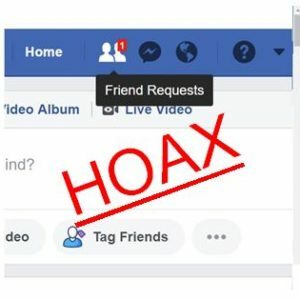 Once you accept a friend request from a clone, the scammer behind it can pull images and friend lists from your page to make a new clone and keep the scam going. This is how a real security threat can go viral on the site—and it’s happened. Back in 2013 and 2016 clones spammed people and hit them up for money, and as we’ve talked about recently, it’s still happening. 1) Ask your friends. If you think your account has been cloned, reach out to a few trusted friends to see if they’ve gotten new friend requests. 2) Search yourself. Put your name in Facebook’s search bar and see if anyone else is using the same name and profile picture as you.